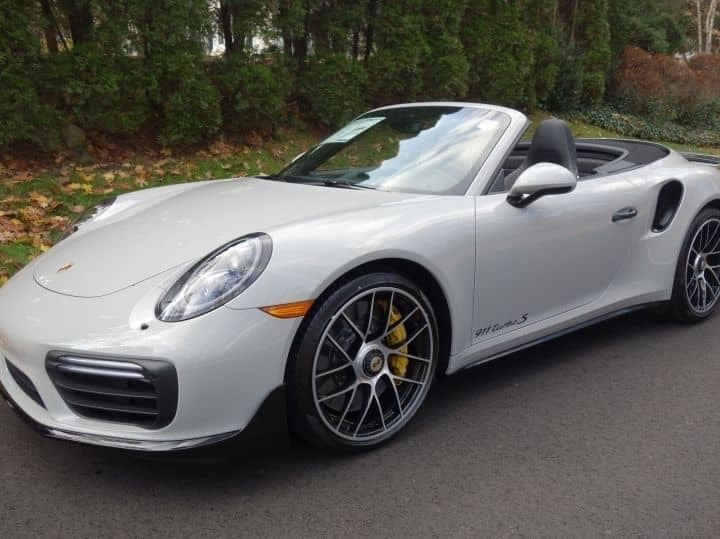 Hard-to-find 2018 Turbo S Cab in Chalk with Black interior and black Aerokit. Lots of extra leather and stitching options. Won’t last! Call sales today at (516) 758-0800.